One of the great things about modern rock climbing is its many facets. I know plenty of very good climbers who are happy doing nothing other than boulder problems and hard limestone face climbs. Some of these climbers are content to never have the burden of learning to climb cracks, much less venture up one while placing their own gear on lead. I am sure there are very good, perhaps even great, climbers like this out there who are probably sadly deficient when it comes to true crack climbing. A better, more rounded climber climber will master both crack and face climbing, and without question learning and/or improving your crack I.Q. can do nothing but improve your overall climbing ability and therefore your performance on boulders and faces only stands to improve also. Indian Creek, UT has become THE place to learn/hone/perfect "true" crack climbing skills. The reason that "The Creek" has become the cracking Mecca is due to its large collection of aesthetic, uniform cracks. Some IC cracks are continuous in one size for an entire pitch. Others might widen or gradually pinch as you go, forcing you to run the jamming spectrum. Indian Creek deserves its reputation as a premier climbing destination, but there are other great places to climb excellent cracks all over the world, including right here in Colorado. Unaweep Canyon outside Grand Junction and the South Platte area in the central/eastern portion of Colorado's Rockies are both noted for quality granite cracks. Little-known Escalante Creek in-between Grand Junction and Montrose has often been called "Colorado's Indian Creek". While I understand the comparison between the respective climbing styles of Indian Creek and Escalante, the feel of the two of them are quite different, in my opinion. 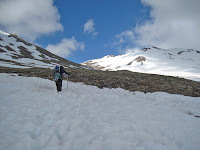 Lumpy Ridge and other climbing destinations in Rocky Mountain National Park also have noted and famous crack climbing. 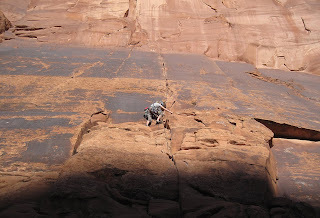 The crucial thing about climbing cracks is understanding the sizes. Learn the respective jams for each size, practice them judiciously, and you are well on your way to being a crack climber. Also, throw what you think you know about grades out the window. I find that cracks tend to be rated almost on a scale of their own and the correlation between the ratings of crack and face climbs is vague. 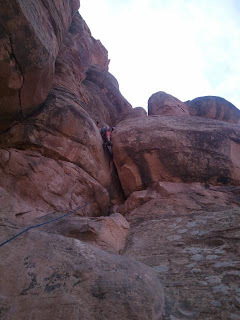 Depending on your experience level with cracks it is quite possible you will climbing a few grades lower or, less likely, even higher than what you climb on a bolted face route. The following is a breakdown of differing crack sizes. The supplied gear notation is my size. Yours may very well differ. I am 5'9 with hands that are probably on the small side of average I would guess, though I have no data to back that up. This is just a general guide to the size crack that would take the gear I use based on empirical knowledge. It varies a bit depending on the crack and the orientation of the placement. The more uniform and smooth the crack the more accurate the gear. Growl. Some of the hardest types of cracks are these beasts. A tips crack is one where you can only get your fingers in to the first knuckle or maybe just past. While often secure, fingertip cracks are painful and strenuous. Add in the fact that you can get no feet in this crack and you could be in for a tough climb. Face holds for your feet can help, as can laybacking if you don’t feel secure with your jams. 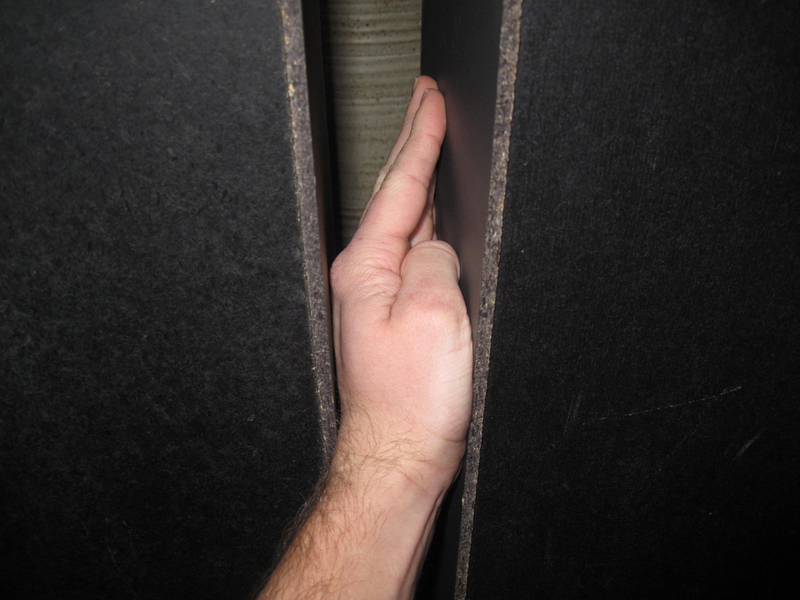 It's hard to beat a good finger crack! You know good fingers when you find them. Bomber, secure, not always comfortable, but steady and trustworthy. Can't get your hand in, can't get a secure fingerjam, this size range is one of the hardest. Depending on your foot and shoe style, you might not be able to get a toe in either. Off-fingers is often broken-up into sub-categories, such as Rattly Fingers, Ringlocks, and Ratchets, each of which takes a distinctly different jamming technique. You might encounter other names for jamming techniques in the range including butterfly jams and finger stacks. Not quite big enough for the thumb-to-palm perfect hand jam, but big enough that you can squeeze most of your hand inside. 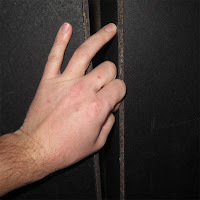 Thin hands aren’t bad, especially because the amount of toe you should be able to get in this crack. The favorite size for most climbers. A section or full climb of perfect hands can be one of the most serene experiences in climbing. Wide hands are not quite big enough for fists but rattly with good hands jams. You must "cup" yours hands and rotate them to cam into place. This can be a tricky and uncomfortable size. bomber. The only catch to fist jam is its lack of size-adjustibility. In your hand is just a little too small, it might feel like you're going to fall. 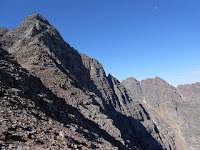 The dreaded Off-width (often abbreviated OW on topos and in guidebooks) is one of the most feared, dreaded, and despised of climbing terrain types. On the other hand, for the hardy the off-width presents a physical and mental challenge that no other climbing mode can match. Climbs like "Lucille” (5.12+/5.13-) at Vedauwoo in Wyoming and "Belly Full of Bad Berries” (5.13) at Indian Creek are two classic testpiece OW climbs. 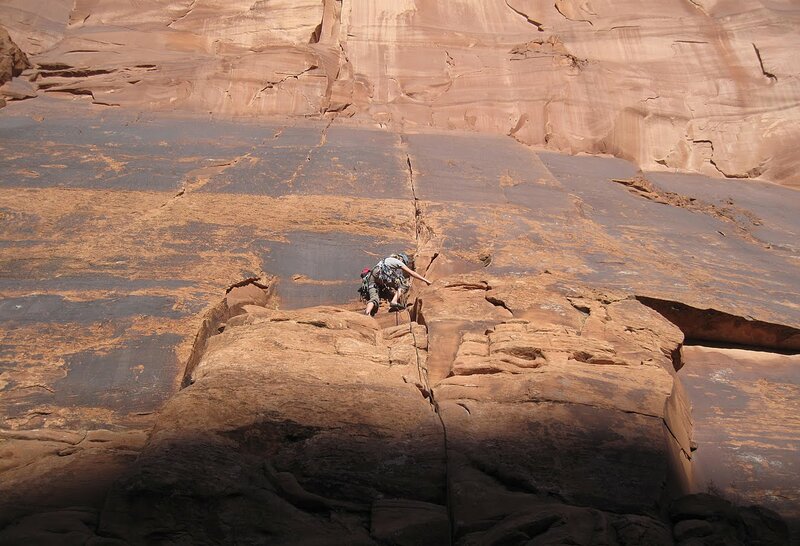 Recently, two British climbers ascended "Century Crack" on the White Rim in Canyonlands National Park, assessing a 5.14b grade to the climb, making it the hardest OW in the world. The two climbers have repeated many of America’s and the world's hardest off-width pitches and claim “Century” to be the hardest. However, some debate their claim of an ascent as they used pre-placed cams for the redpoint. Fist/Fist Stack- Grunt, a rattly, unpleasant size. Self explanatory, there are several techniques in this range depending on the size of the crack. 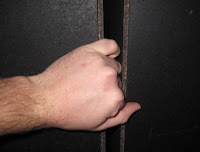 Fist/nestled fist where the knuckles of one hand is pointed into the crack and the knuckles of the other are pointed into the wall is one type, this is for cracks that are slightly smaller than the fist/fist crack. Arm bar/chicken wing- When you need something bigger yet, but still cant get your whole body inside, you can resort to the arm bar or the chicken wing. Both of these jams rely on camming your arm inside a crack that is somewhere between ~8 and ~12 inches depending on the size of your arm. Chicken wings are steady and good for resting but can be painful if not locked properly. Chimneys are a mixed blessing. They are usually secure but often difficult to protect. There are really only two sizes of chimneys: squeeze and regular. 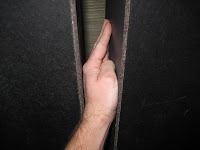 Squeeze chimneys are bigger than OW in that they allow your whole body into the crack, only it is a tight fit as less secure than a “regular”, full-size chimney. As previously mentioned, protecting chimneys can be tricky. While the advent of specialized pro like Big Bros and large SLCDs has helped this problem, often your best bet is smaller cracks and other features inside the chimney. Just like in sport climbing, what you do with your feet is as important (maybe more important) than what you do with your hands. 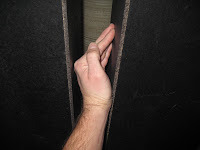 As with finger/hand/fist jams, the foot or toe jam that you perform is going to vary by the size of the crack, however, the technique for all of the sizes is generally the same. Start by raising your foot and rotating it onto its side, forcing your knee out perpendicular to your body. Set your toe in the crack and lock into place by twisting your knee upward. This cams your toes and/or foot into the crack. For off-width cracks you will need to use other types of jams like the heel-toe, where you jam your foot in a crack lengthwise, and knee jams, etc. Face holds can be crucial when a crack seams out or gets too small for toe jams. Smearing can also save you for liebacks and other blank sections. Keep in mind the size and profile of your shoe when climbing cracks. Having the right gear can make difference between a send and fall.